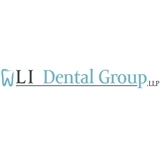 NY Dental/ LI Dental Group LLP (New York) - Book Appointment Online! LI Dental Group services range from simple cosmetic enhancements to comprehensive and complex full mouth reconstruction utilizing implants. Our doctors have specialty degree and training in Prosthodontics, they can provide dental services ranging from simple fillings to extreme dental makeover's. If you are looking for a Long Island dentist, look no further.